Holidays often are a time when our cups become so full that there is little room for anything new. Yoga and essential oils can be a powerful catalyst for emptying our cup to make room to receive. Our dynamic hip opening sequence is combined with seasonal essential oils to make room to receive many gifts of the season, including self-care and compassion. 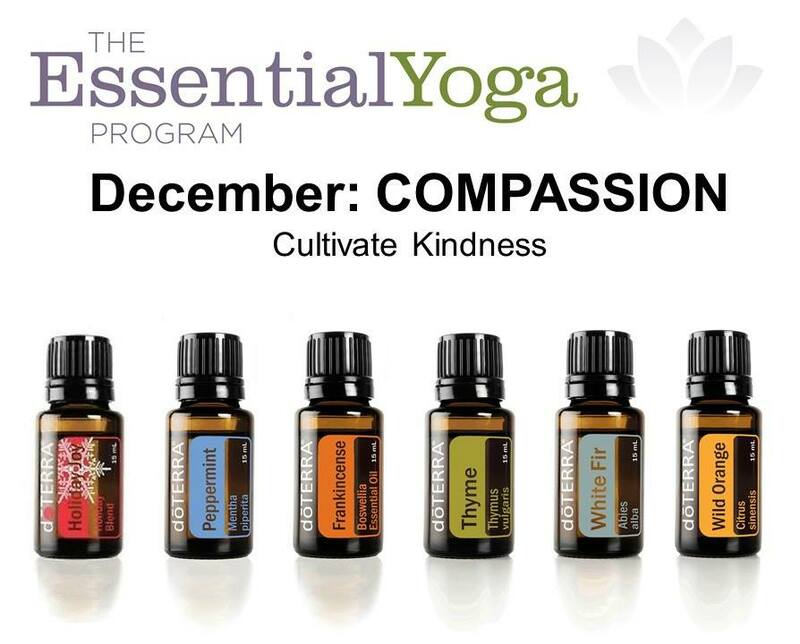 Frankincense, Siberian Fir and Thyme essential oils help cultivate compassion. The uplifting yet calming properties of wild orange in final relaxation will remind one of the importance of taking time to be with oneself in a loving way.